The city of Palma is located on Mallorca or Majorca, the largest of the Balearic Islands in the Mediterranean Sea between Valencia and Barcelona, just off the east coast of Spain. 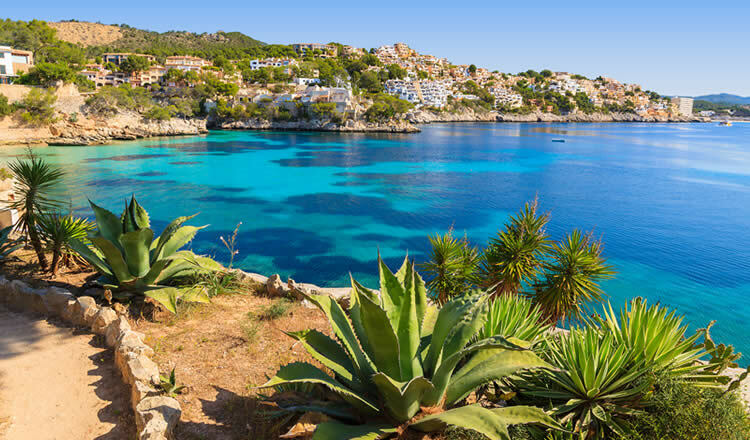 It’s the island’s main city and capital of the Balearic Islands. The cruise terminal building of Palma de Mallorca, Estacio Maritima ferry and cruise pier, is located in the industrial part of the city, 4 km from downtown Palma hotels and attractions. Some ships anchor near the commercial and naval port at San Carlos Castle, next to the island’s most important shopping centre. Palma de Mallorca is the island’s main city and capital of the Balearic Islands. Nearly 70% of the total population of the island live in Palma. The island with its mild climate is a major European tourist destination with beautiful beaches, a series of small caves and over 250 miles of coastline. The cruise terminal is called Estacio Maritima ferry and cruise pier, situated in the industrial part of the city, approx. 4 km from the city centre. Some ships dock near the commercial and naval port at San Carlos Castle. Main cruise operators from the passenger terminal are Costa and MSC Cruises. The hotels in Palma de Mallorca range from luxury to reasonably priced for those on a budget. 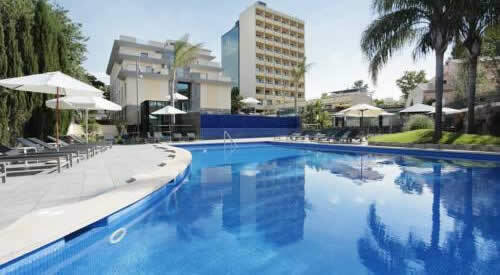 Stay in downtown Palma, near the airport or at one of the seafront resorts or hotels. The closest beach to Palma is Ca’n Pere Antoni, a fine sandy beach with calm water. Set in a more quiet residential area, 5 minutes from the wonderful seaside promenade, yacht club and marina. Hotel situated in the city’s historical centre, within easy reach from the cruise and ferry port terminals. 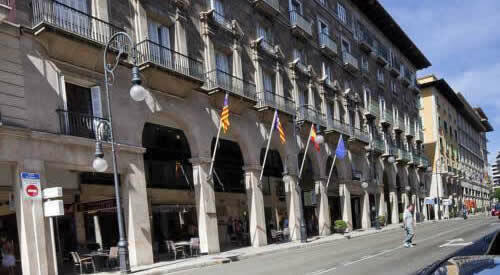 Highly rated boutique hotel located in the Old Town of Palma de Mallorca. Palma de Mallorca is also a major ferry port. Ferries from ferry operators, Balearia and Acciona, sail from the harbour of Palma to the Port of Barcelona and Valencia, located on the mainland of Spain. Some ferries connect Mallorca with Ibiza and Minorca (Mahon). When arriving by ship you have an impressive view of the Bellver Castle which overlook the bay, the imposing gothic Cathedral of Santa Maria (La Seu) built on the site of a previous mosque, and the ancient Almundaina Palace or Palacio Real de La Almudaina across the square from the cathedral. Not to be missed is the charming old quarter with narrow streets and lovely squares. The Pottella district boasts palatial medieval structures dating from the 17th century. The archeological museum of the island is Museu de Mallorca, showcasing Talaiotic and Roman remains, Moorish ceramics and Christian art. Don’t miss a visit of the Gran Hotel, a former historic and first luxury hotel on the island. Today it’s a cultural center, home to the Fundacion la Caixa modern art museum. Iteresting is a visit to the pretty hill village of Valldemosa, a 30 minutes away by taxi, filled with attractive small shops and cafes. The main attraction is the former Carthusian monastery complex. Today its’s a museum and contains the cells where the Polish composer Frederic Chopin and the French writer George Sand stayed together. Marineland — a fun day out for the whole family is Marineland, a wonderful aqua park complete with a dolphin and sea lion show, private beach and tropical birds. Boat trip — a relaxing day is a boat trip around the Bay of Palma. Cruise on the crystal-clear waters, take time to swim in the stunning Mediterranean Sea and admire the stunning views from the water of Magaluf, Portals Vells and Punta de s’Estaca.